Nothing ruins your day like walking out into your front yard and discovering that your septic tank has started leaking. Because your septic system is out of sight, it is often forgotten about until a problem arises. That’s where Coker Septic comes in. 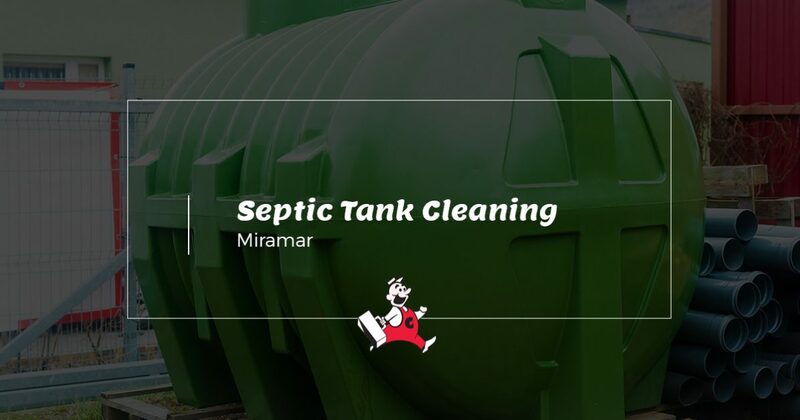 As a Top Rated Local® septic cleaner for the Miramar area, we are proud to offer a variety of services that will help to prevent your septic system from leaking or breaking, as well as emergency services should you need them. Whether you are a homeowner or business owner in the Miramar area, you can count on Coker Septic to get the job done. Hire Septic Tank Cleaning Experts You Can Trust! As they are used, septic tanks start to collect sludge and scum, which in time, will actually make the size of the tank smaller. If you fail to clean your septic tank, it can cause strain on the tank and your septic system will not work as efficiently. In order to preserve the functionality of your septic system, the experts at Coker Septic in Miramar recommend that you have your system pumped, cleaned, and inspected every two years. When you follow this timeline, you can expect a high-functioning septic system that will work for years to come. Our Services are Perfect For Homeowners and Small Businesses! You don’t often think about your septic tank affecting the way you go about your daily life or the way that you manage your business, and most of the time it doesn’t cause any problems. If you want to continue living your life without having to worry about your septic tank, the experts at Coker Septic are here to help! For homeowners, we offer septic tank cleaning and pumping, as well as drainfield maintenance. Additionally, we also provide parking lot drain cleaning, along with grease trap cleaning and pumping for small businesses! Whatever the case may be, don’t hesitate to call Coker Septic in Miramar at 305-403-9738 for all of your septic tank cleaning needs. We hope to hear from you soon!